Editor’s Note: This is part of an ongoing series on the Farm Bill and related federal agricultural and food access policy. To stay up to date and make your voice heard in Washington, sign up for our action alerts. In our last newsletter, we told you about a trillion dollar bill you may have never heard of, the Farm Bill, and why it should matter to you. The Farm Bill is one of the most expansive- and expensive -pieces of legislation Congress regularly addresses. Over the course of a decade, the Farm Bill funnels roughly $1 trillion into the various programs contained within the bill. Millions of Americans are impacted by changes or reductions in funding for these programs. Yet, despite the scope and impact of the Farm Bill, very few Americans understand the bill, its importance in the US food system, or the impact it has on individuals and communities. Congress revisits the Farm Bill every 5 years and will need to pass a new Farm Bill in 2018. In order to meet that goal, some members of Congress have introduced a “marker bill” titled the Local Food and Regional Market Supply (FARMS) Act of 2017. A marker bill is a placeholder bill that allows legislators to begin debate on concepts and policies without having to commit to any of them. As such the Local FARMS Act is the public’s first look at what some legislators wants to include (or remove) from the 2018 Farm Bill and our first chance to advocate for increased access to healthy, local food. Here is what you need to know about the Local FARMS Act and how it will impact your community. Maintains the Integrity of the Supplemental Nutrition Assistance Program: SNAP, formerly known as food stamps, provides a basic level of nutrition support for families living in poverty. Participants are required to meet work requirements or qualify on the basis of disability or childrearing. Efforts to undermine SNAP, either by introducing more rigorous qualifications or reducing the benefit (Coloradan’s on SNAP receive less than $4 a day for food) directly harms the most vulnerable members of our communities. Supports Farmers Reaching New Markets: The Local FARMS Act continues and expands programs created to support access to fresh, healthy, local food. 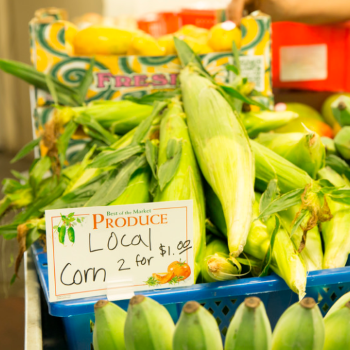 Programs like the Farmers Market Promotion Program which would receive a $10 million boost from the Local FARMS Act make it easier for local farmers to connect to new markets and new customers, build local economies, and bring fresh produce to Colorado communities. Supports Efforts to Create Racial Equity: The US agricultural system, like many other systems, is undergirded by centuries of racial discrimination and inequality. For instance, farmers of color seeking federal assistance in the form of loans or technical assistance from the USDA were frequently denied. The USDA formally recognized this in 1999 when it settled a class-action lawsuit brought by over 400 black farmers who were denied loans and financial assistance. Past Farm Bills have provided funding for programs designed to remove these barriers and bridge these inequities, but these programs have been historically underfunded. As an organization dedicated to improving the health of low-income communities and communities of color, we firmly believe we must address racism wherever we see it, including in agricultural policy. You can read more about racial inequity and the farm bill with our partners the National Sustainable Agriculture Coalition. When debate on these critical programs really gets started next year, we will need you take a stand for health, local food and our most vulnerable communities. Sign up for our action alerts and follow LiveWell on Facebook and Twitter to keep up with the conversation.